A combined raft and trekking trip to the Tamur in Eastern Nepal is possibly one of the best combination trips available in the World! 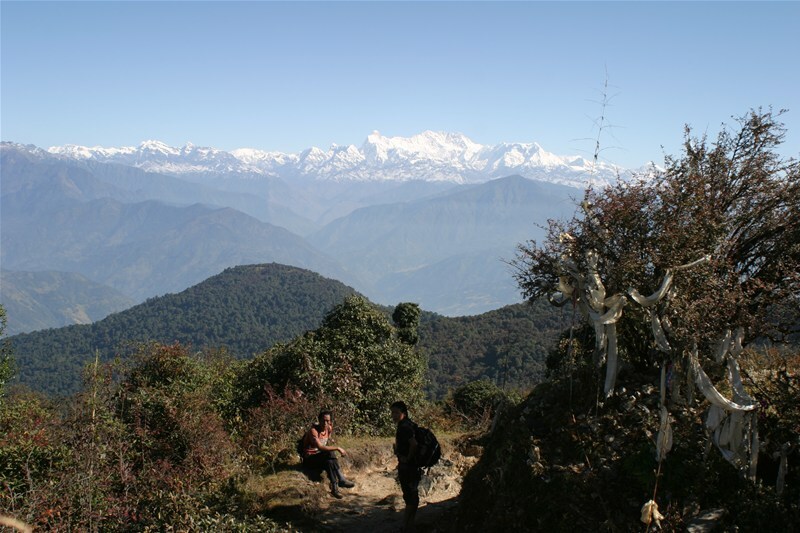 You start your trip with a 4 day trek across a 3000m high ridge line to get to the river, on route and weather permitting you will get views of Everest, Makalu and Kanchenjunga. That's just the start of it, then you get to the river!! The Tamur is the best all round combined trek, rafting and kayaking multi day expedition in Nepal and is suitable for anyone wishing to go. If you wish to kayak the trip you will need to be an experienced class 4 kayaker but we will have qualified instructors and guides on the water to help you find the best lines on all the rapids. If you wish to raft the river then you really need no experience, we will teach you everything you need to know, all you'll need is to bring is your sense of adventure! 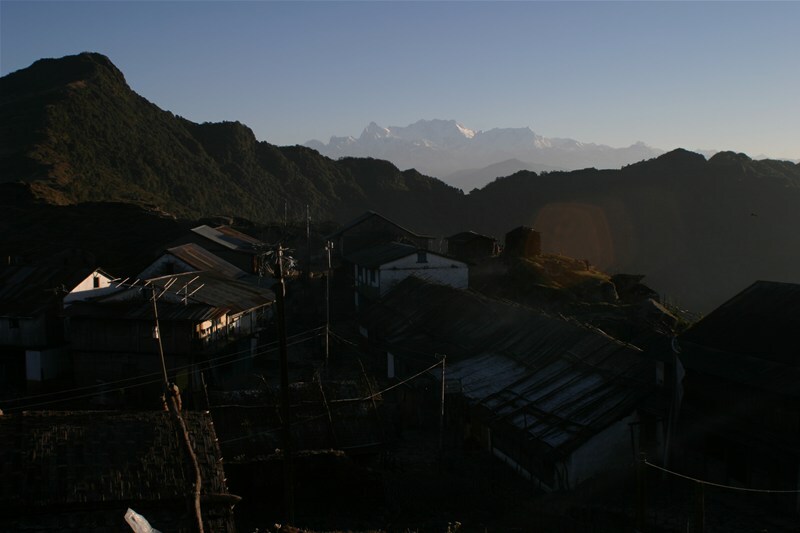 The Tamur river and it's tributaries drain the snows off Kanchenjunga, the Worlds third highest peak. 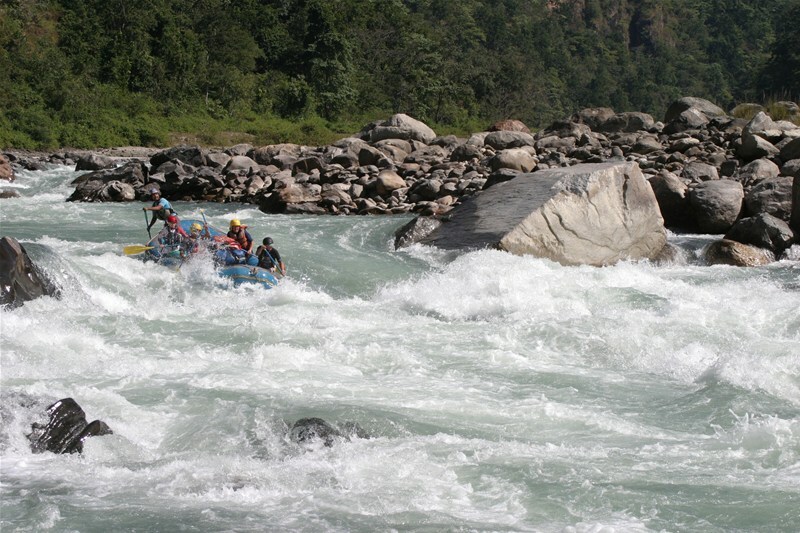 The river itself is the sixth largest river in Nepal. Our expedition will set off from Kathmandu with a short flight cross Country to Biratnagar followed by bus transfer to Basantapur. Basantapur marks the true start of our expedition. From here we will trek for 4 days to the put in of the river. 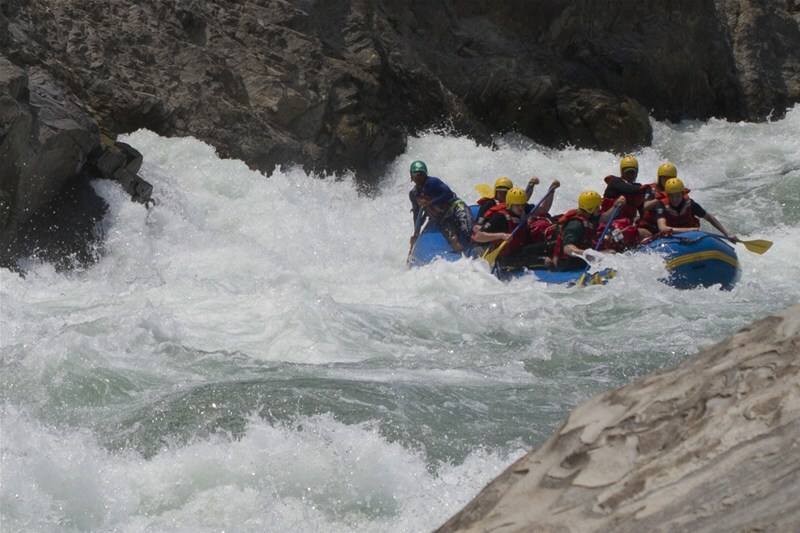 The trek is far from something that should put anyone off of this particular rafting trip. 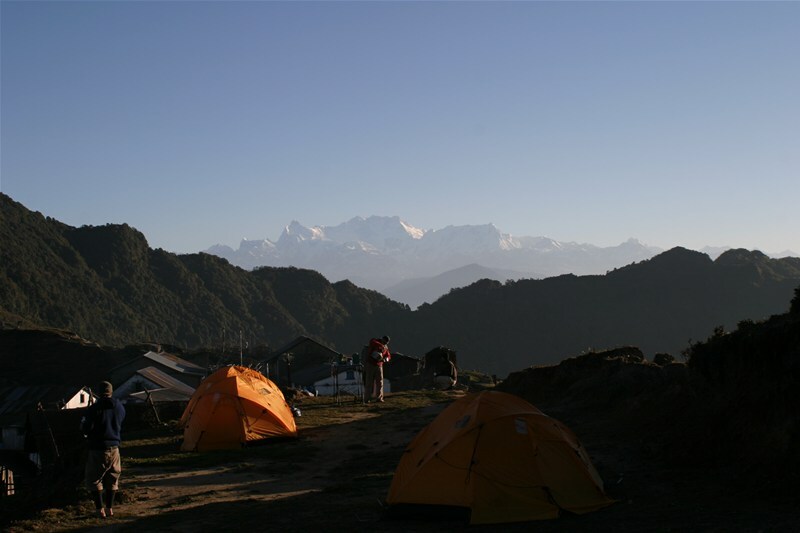 All of our equipment will be carried by local porters and the trek itself is a very gentle trek along a ridge through beautiful woods and meadows at an altitude of 3000m.During the trek, weather permitting we should get amazing views of Kanchenjunga, Everest and Makalu. 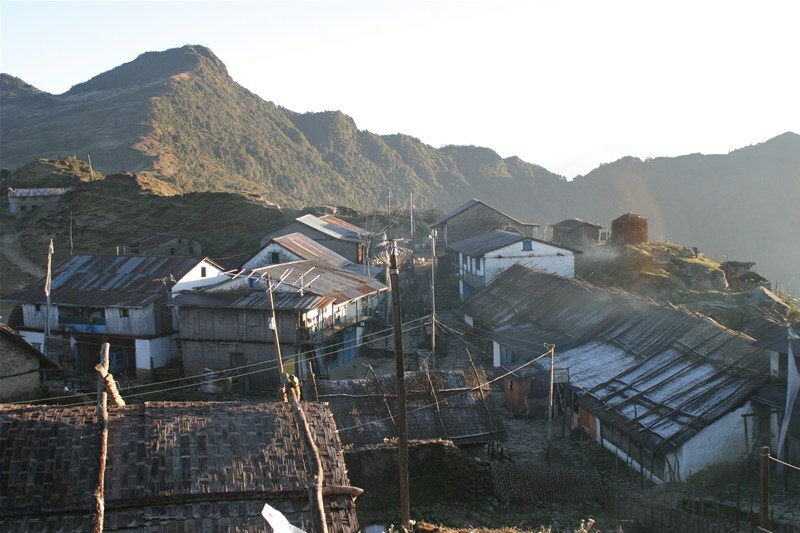 We will put onto the river at Dobhan and from here will follow the river to the take out on the Sun Kosi at Chatra. The river between Dobhan and Chatra is graded at class 4 predominantly. The lower sections of the river will include some rapids that touch the lower end of class 5. 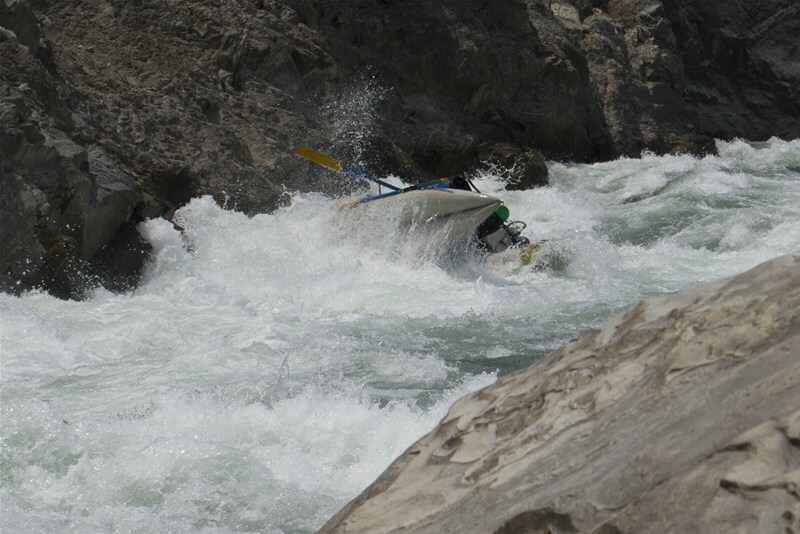 The last day of the Tamur is regarded as one of the best single days of white water in the World! The Tamur expedition is probably one of the finest combination expeditions Nepal has to offer giving participants the chance to experience true unspoilt trekking and fantastic whitewater rafting. Please give us a call if you need more information or simply get booking! The trip price will include all accommodation (be it in a hotel or under canvas), all rafting equipment, camping equipment (excluding sleeping bag), initial airport transfer and all food whilst on the river as well as domestic flights to and from the river. 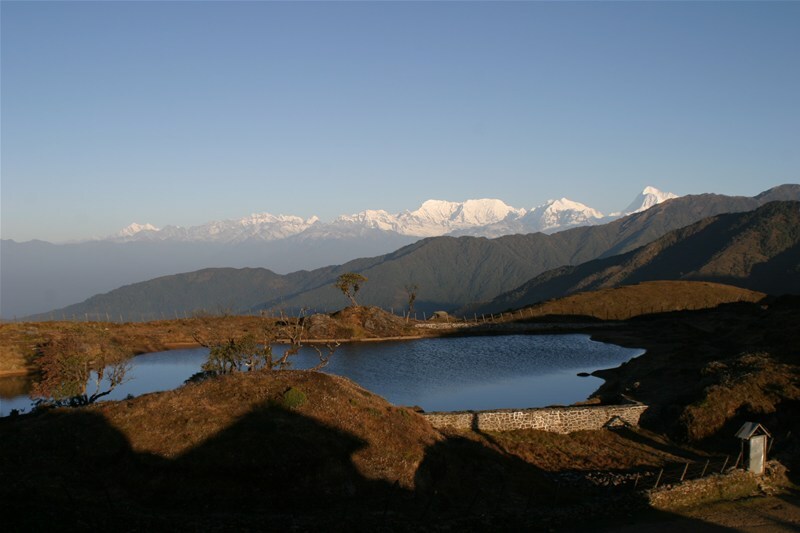 Hotels in Kathmandu are provided on a B&B basis. If you want to reduce the price of the trip you can opt to drive to and from the river, 20 hours each way. This will save you £250 from the listed trip price. 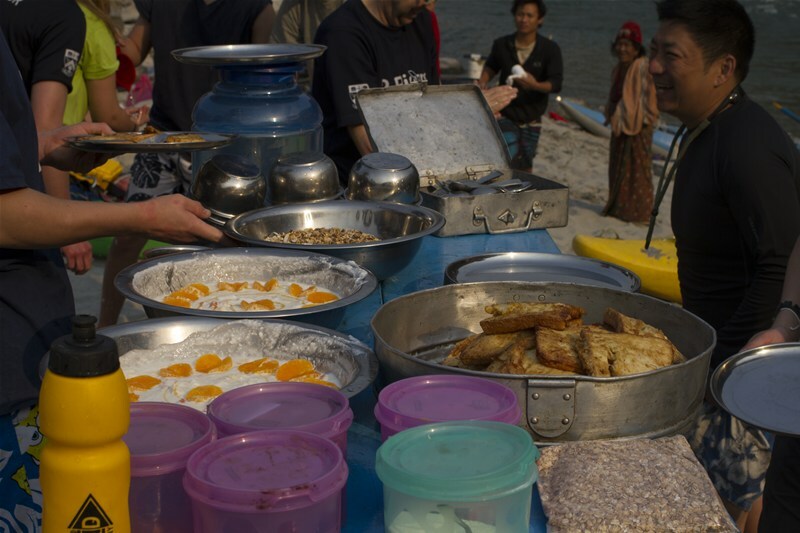 The trip cost excludes international flights any food whilst in Kathmandu (besides breakfast) as well as alcohol but you can always bring your own. This trip was out of this World! I have never experienced such beauty, adventure and culture all tied into 1 trip as amazingly as this. I was extremely nervous about the trek but the days walking are broken down into bite size pieces with such a stunning backdrop that you don't even think about plus you get to meet local people all the way to the river. Once you get to the river it's a non stop roller coaster ride, just so incredible! The guides were 1st class, I still keep in touch with them now on Facebook. They are amazing cooks and hosts during the entire trip and are happy to help with anything you need, nothing is too much of a problem for them. I would highly recommend this trip, I will be going again as soon as possible but first I'm off to the Karnali!